"The versatility of steel gives architects the freedom to achieve their most ambitious visions." For decades after carbon was first added to iron, steel in architecture was used primarily as the bones of the building. Other materials were the skin. This was revealed in the previous post. The work of Mies' builidngs, where the structure was an essential part of the facade, provided a segue for steel's transformation from bone to skin. This post explores the versatility of steel. History often repeats itself. Just as Eiffel's tower had done almost ninety years earlier, Piano and Rogers' Centre Pompidou was initially despised and rejected, before becoming accepted then loved, by the Parisians. This building ushered in a new word to the architectural lexicon - high tech. It also launched the careers of two young architects who are among the greats practicing today, Renzo Piano and Richard Rogers. The building was completely unapolagetic in its use of steel ... exposed ... inside and out. 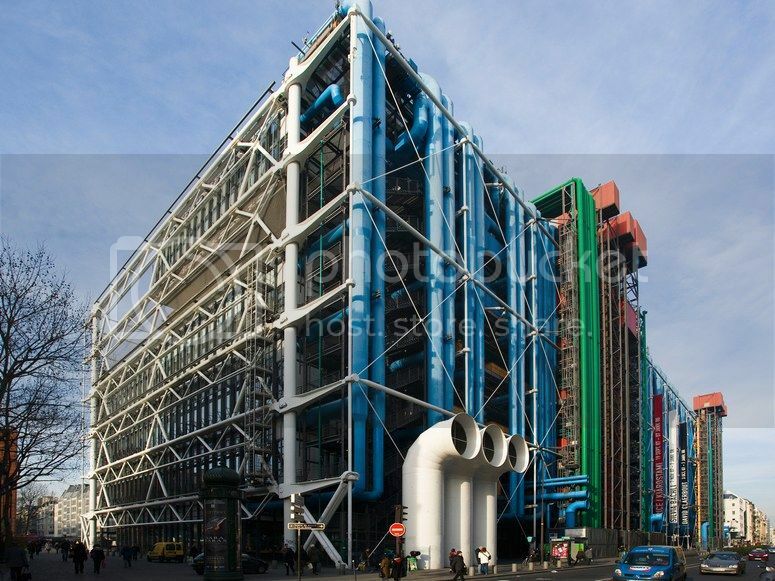 What made Centre Pompidou different was not that it was being used, but how it was used. It was expressed, and not only the structure but also the pipes, conduits, cables, and grates. It is as if the skin was peeled away. 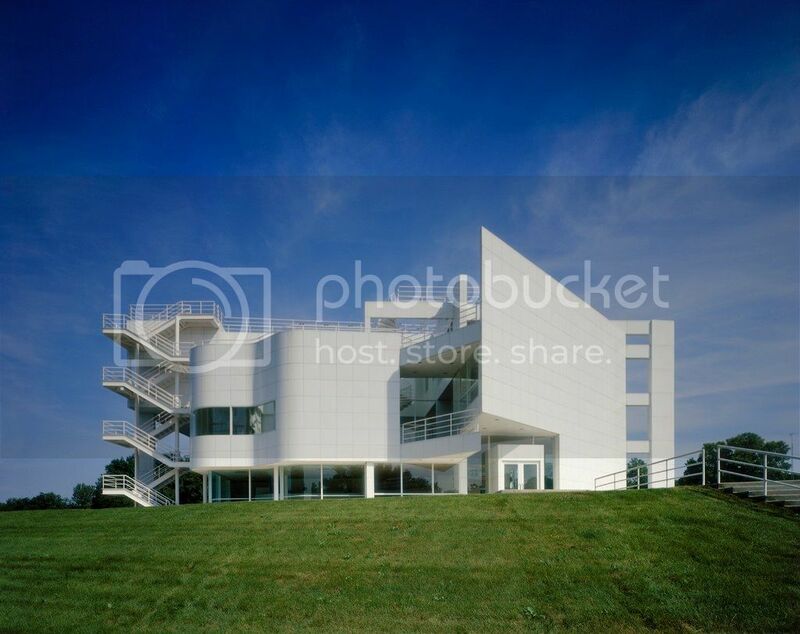 Some architects such as Richard Meier chose to use steel in a more subtle way. Meiers' late modern projects featured painted steel beams and columns, steel window and door frames, and sleek nautical railings. The exterior voids are filled with large expanses of glass and the exterior walls are clad in porcelain steel panels, now part of the Meier brand. Shortly after Centre Pompidou opened its doors, Piano and Rogers went their separate ways. 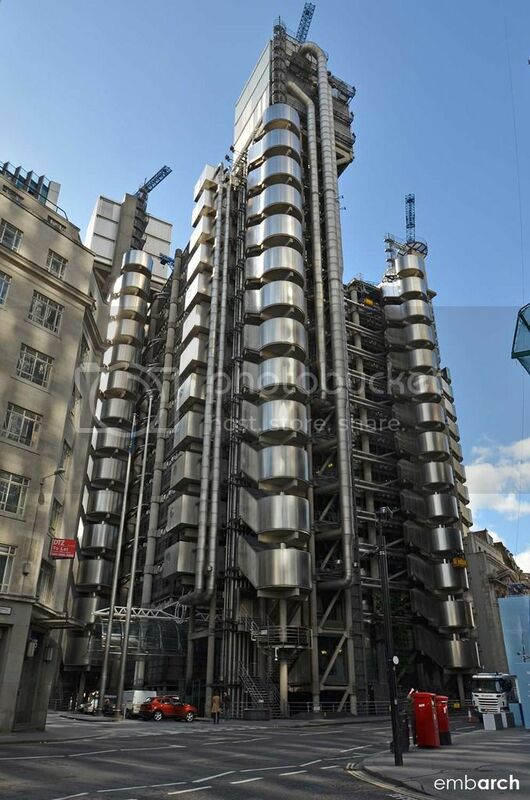 One of Richard Rogers first masterworks was a new headquarters building for Lloyd's of London. 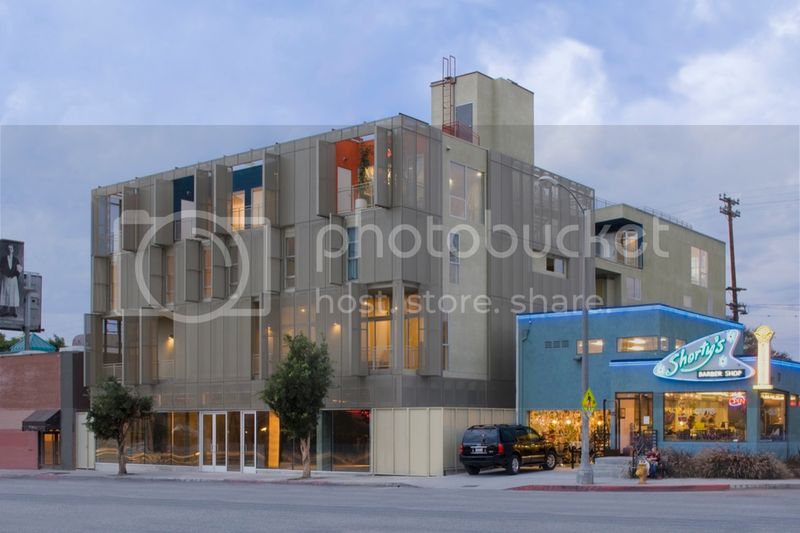 The building is enclosed with prefabricated stainless steel panels, which are connected to the exposed steel frame, like a giant erector set. In the case of the Lofts at Cherokee Stadium, there is no steel frame. The building is a fairly simple block of lofts. What sets this building apart it the metal scrim which is pulled away from the body of the building. In terms of function, the operable scrim opens up at strategic locations. They open up views, provide shade and privacy, and channel breezes. In terms of form, they create an interesting and dynamic facade, always changing. is also used in conjunction with other materials as well. The strength, durability, and versatility of steel, as a structural and cladding material, ensure that it will remain a preferred material among architects. A common ordering devise also used by architects for organizing building components, such as steel, is the grid. In the next post, Stick To It, we'll examine the grid and its connections and design.